HP has carried out its threat to take legal action against Oracle for failing to meet its commitments to HP and 140,000 shared customers by ending software development for HP's Itanium servers. HP filed a suit in Santa Clara Superior Court seeking damages and other remedies from Oracle. HP said: "Oracle failed to live up to a clear and simple promise to work with HP in the interests of both companies' mutual customers." HP builds Integrity servers with the Itanium chip. In the 1990s, HP co-developed successive iterations of the chip with Intel, which took over all Itanium development from 2004. In announcing its decision to stop Itanium development in March, Oracle said Intel had made it clear Itanium was nearing the end of its life. However, Intel chief executive Paul Otellini responded immediately by issuing a statement that Intel continued to have an ambitious roadmap for Itanium. Oracle says it can back up its claim about Intel in court, but HP says Oracle's real concern is to prop up its failing Sun server business. 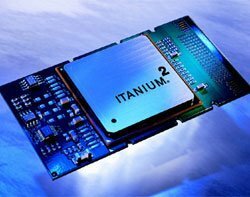 HP says Oracle's decision to discontinue support for Itanium servers is a thinly disguised ploy to force Oracle database customers off Itanium servers, onto Sun servers. HP sent a legal demand letter to Oracle last week, in the hope that it would rescind its decision, as it did when it encountered opposition to its decision to discontinue support for key JD Edwards and PeopleSoft applications after an acquisition. Bill Wohl, senior vice-president and chief communications officer at HP, said Oracle's failure to respond to HP's letter had left HP no choice but to take legal action. "The silence is deafening. Oracle does not see the issue for customers. Our focus is on helping Itanium customers, and there are a lot of big companies running Oracle on Itanium," Bill Wohl said.